A highly personal yet fictionalized return to what Hido refers to as the “architecture” of his childhood, Excerpts from Silver Meadows is a body of photographs brimming with sensuality and rich narrative threads. At the core of this series is Silver Meadows, a very real street that runs through the neighborhood in Kent, Ohio where the artist grew up as a boy. It is the entry point for both a literal reexamination and a frenzied reinterpretation of a Midwestern suburban upbringing; a trip through the innocence of childhood and adolescence and into the darker aspects of life beyond. Like his breakthrough series House Hunting and his work from Roaming, which followed, Excerpts from Silver Meadows explores the familiar territory of mysterious suburban exteriors at night and the solitude of traversing the American landscape by car. 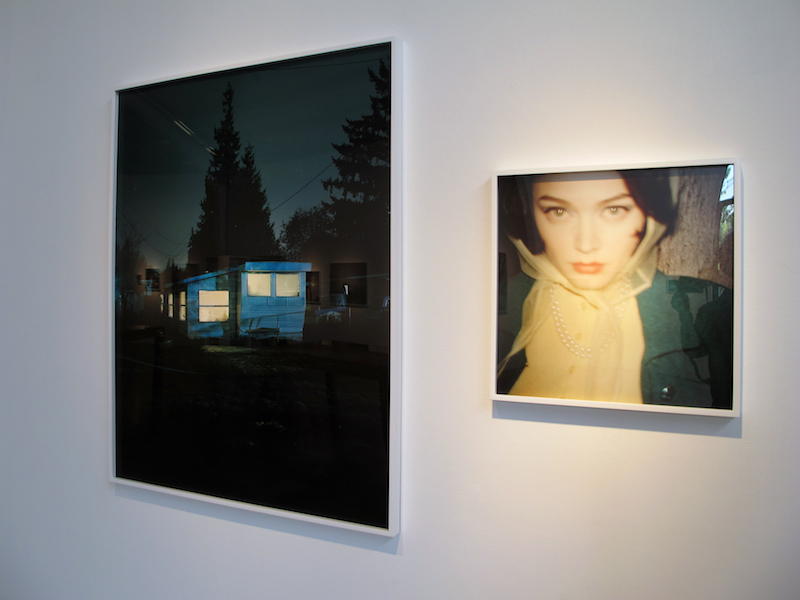 But by juxtaposing his signature, moody landscapes with unsettling, provocative portraits of young women and the spaces in which they dwell, and by combining a documentarian’s hard-edged clarity and a painter’s expressionistic gestures, more than ever before, the artist has created a series of cinematic moments which draw the viewer into the universe of his own memory and experience.